What kind of quality can I expect with ArtisanHD's photo to canvas prints? 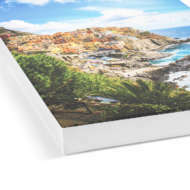 What kind of quality can I expect with ArtisanHD’s photo to canvas prints? 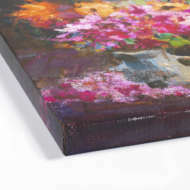 ArtisanHD’s photo to canvas prints are skillfully reproduced. 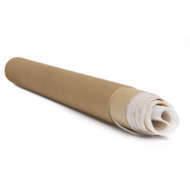 You will know by your professional quality canvas prints that you did not send your images to a cheap, discount printing mill! We guarantee the professional quality of our work. Artisan uses a high quality canvas and and state-of-the-art digital printing technology. Our photo to canvas prints offer a classic look combined with unique texture and lightweight hanging. First, upload your image, then choose your print size (up to 10′). 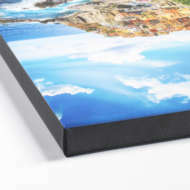 Our Customizer will tell you if your image will print with good quality for the size you have chosen. Finally, choose 1 of 4 finishing options. To see examples of our canvas prints, visit the Custom Canvas Product Page.